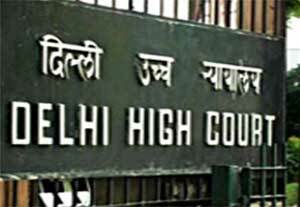 New Delhi: The Delhi High Court on Monday sought response of the South Delhi Municipal Corporation(SDMC) on a plea seeking quashing of an order that rejected a proposal to construct a health centre at a south Delhi locality. The plea filed by a municipal councillor of the Congress claimed that no reasons were given by the standing committee of SDMC for rejecting his proposal to construct an Urban Public Health Centre (UPHC) and Maternity and Child Welfare Centre at Amar Colony in South Delhi. Justice Sunil Gaur sought response of the municipal corporation on the petition and listed the matter for further hearing on January 23 next year. The petition filed by Abhishek Dutt, councillor for the award in Andrews Ganj in South Delhi, sought setting aside of August 31 order of the standing committee rejecting his proposal. It sought direction to approve the July 25 proposal issued by SDMC Commissioner. The petitioner, represented through Senior advocate Sudhir Nandrajog, advocates Aman Nandrajog and Sumeer Sodhi, said the objective behind seeking the approval for the project involved the issue of larger public interest. The plea said the proposal of construction of the health centre was initially proposed by Dutt before the authorities. “In pursuance of the same, not only has the Health Department recognised the need and requirement of such a health facility at Amar Colony, the competent authority itself has granted all necessary approvals and permissions to further the cause of public. “It may not be out of place to mention that even the work tender was issued and the bids were received for constructing the Health Centre at Amar Colony. All necessary procedure were followed and permissions were obtained…,” the plea said. It said that to give effect to the approved proposal of building the health centre, the SDMC commissioner had placed the ancillary proposal of disposing of the old structure of the senior citizen recreation centre, for the purpose of constructing the health centre, before the standing committee. However, the standing committee, by “acting in an opaque and high handed manner” and without providing any reasons whatsoever, rejected the commissioner’s proposal thereby stalling the entire scheme and progress of construction of the health centre.